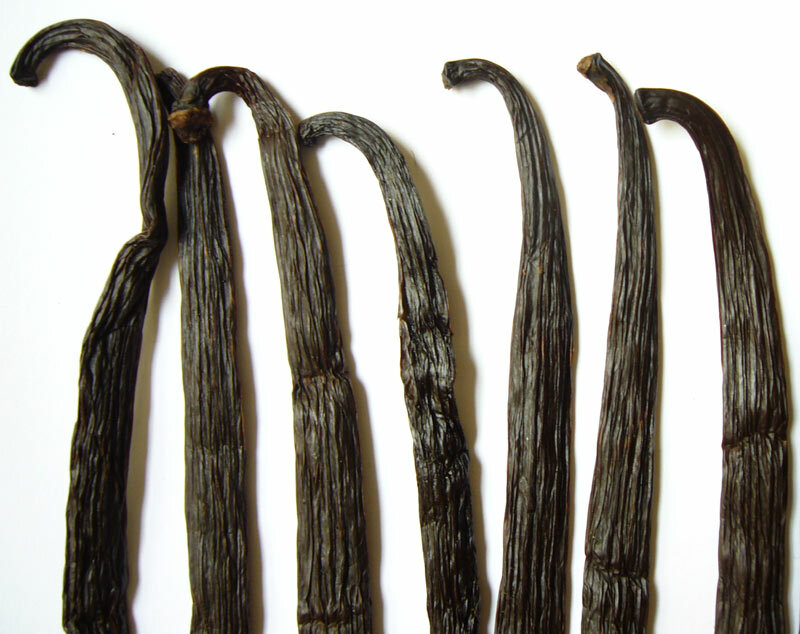 Vanilla beans reviewed: 1o each 12-15cm (regular), 15-17cm (gourmet), and 18-21cm (premium gourmet) planifolia from India. Cost: VanillaMart provided this sample for review. 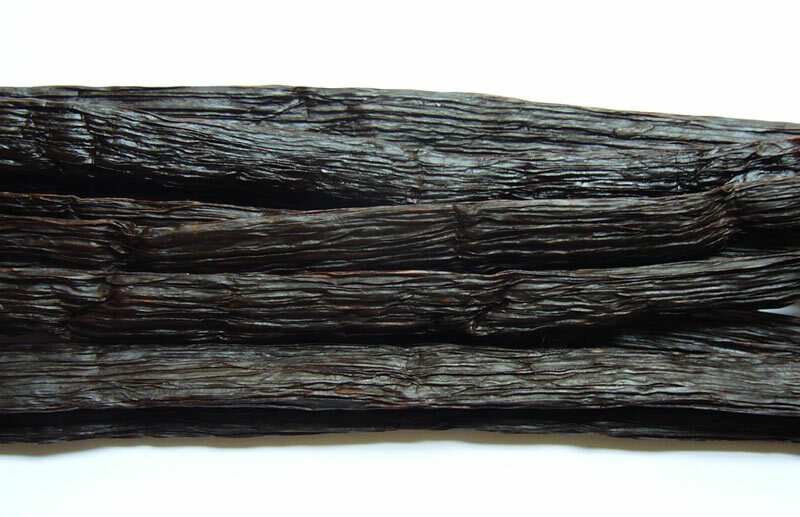 It’s always nice to see another vendor of India-sourced vanilla beans. 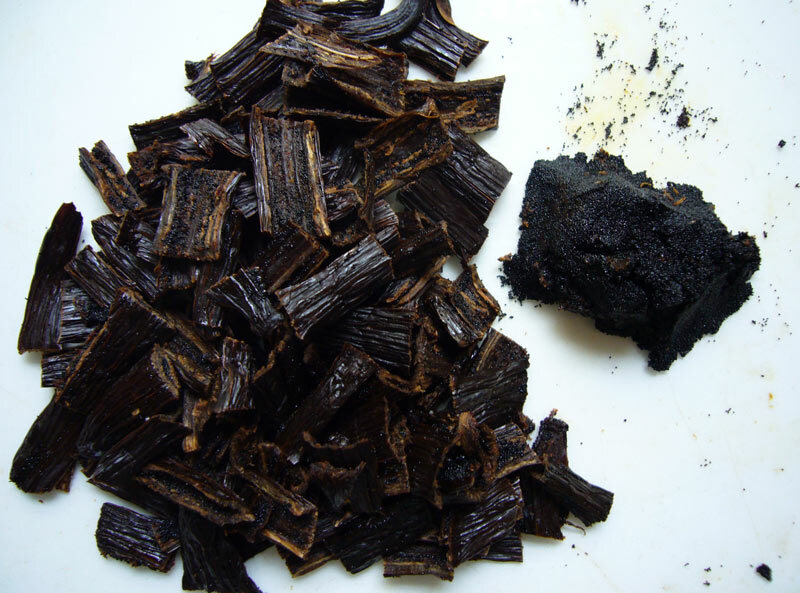 India vanilla is not yet widely marketed, but the industry in south India continues to grow. 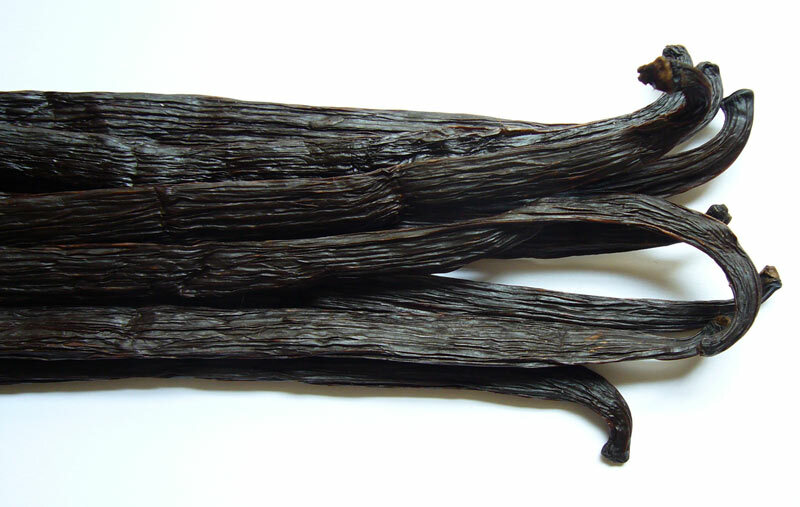 This is a European vendor, selling vanilla beans from the United Kingdom. 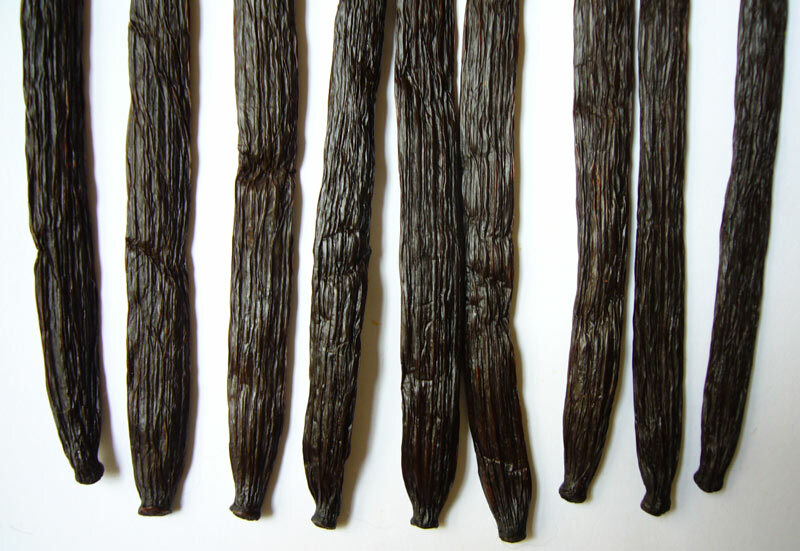 VanillaMart’s vanilla beans are grown by a group of farmers’ co-operatives in South India (Malnad region of Karnataka). Pods are intercropped with coffee, cardamom, black pepper, and other spices. 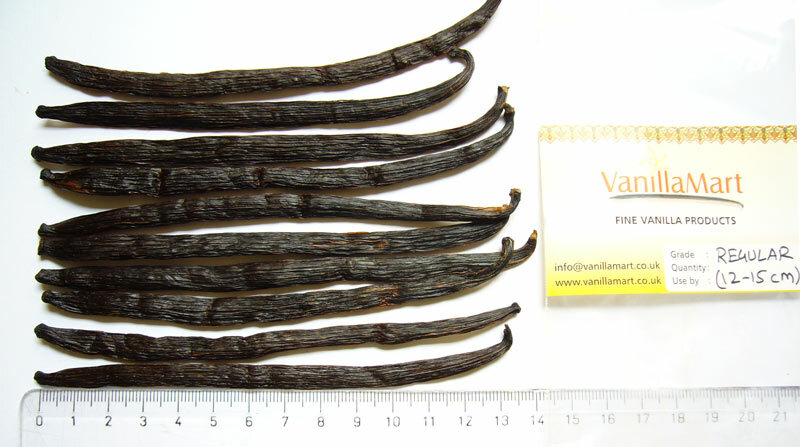 VanillaMart has been selling these vanilla beans in the UK for over a year, and has found wide acceptance of non-Madagascar vanilla. The samples arrived loosely packed, instead of vacuum packed. The pod texture is supple and has a nice, matte sheen. Not overly-greasy, like some vacuum packed beans can be. All have a wonderful, spicy aroma. 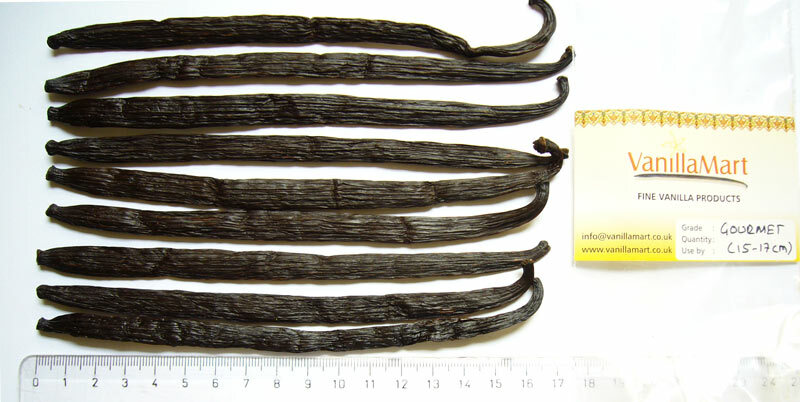 Since I started the review, these vanilla beans are no longer for sale, but VanillaMart sent some as a comparison sample. The regular beans are not as moist as the two gourmet-length varieties, but they have plenty of flexibility. The skin is a bit dry, though, with some light brown streaks. They have a good aroma and are moderately plump. 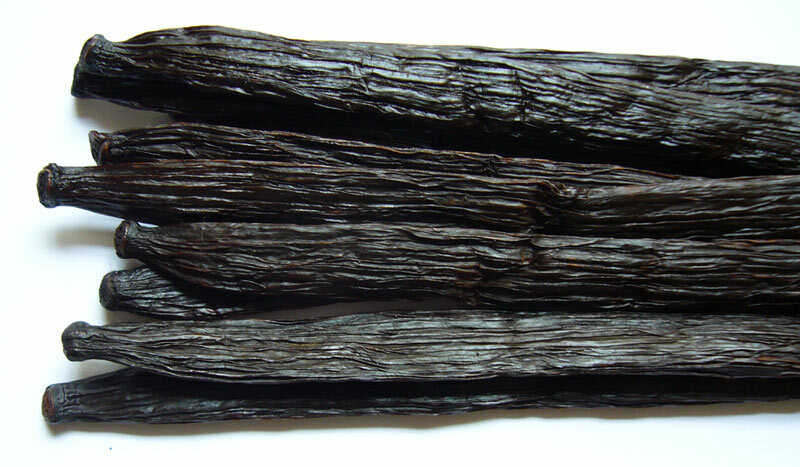 The last picture (below) shows the regular-length vanilla. The gourmet-length variety is my favorite. 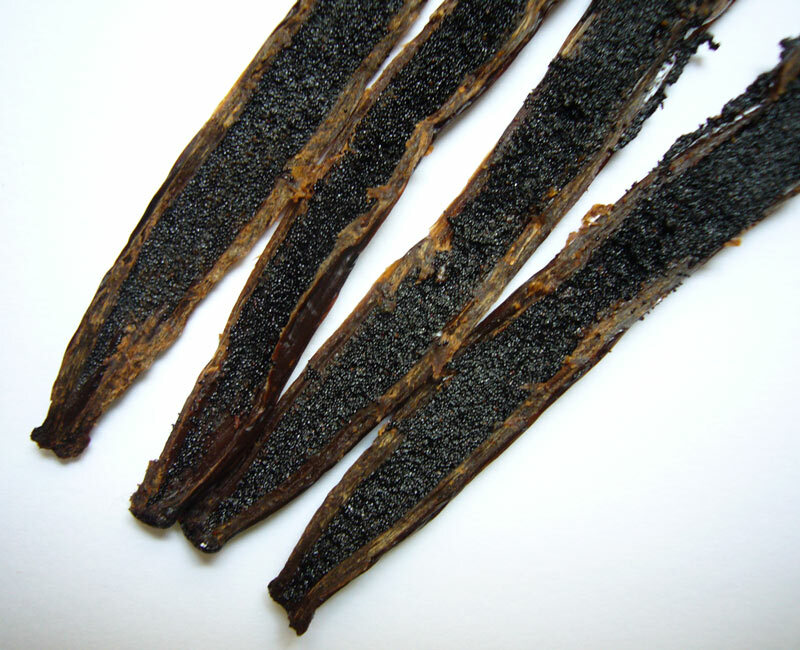 The skin is supple and dark brown. The pods are flexible and oily. They have an average plumpness. The caviar is also quite oily, and there are some pools of oil left on the plate after cutting. There is an average yield of caviar. Its texture is very nice, quite moist and shapes well. The first picture (below) shows the gourmet-length beans. The remainder of the photos show the premium gourmet beans because, apart from the length, they are comparable in quality. 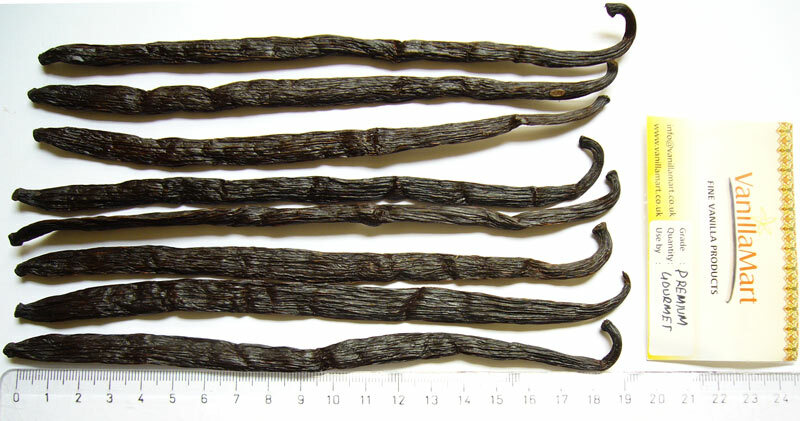 These vanilla pods have an average plumpness, a bit more than the Gourmet, but are also very wide. 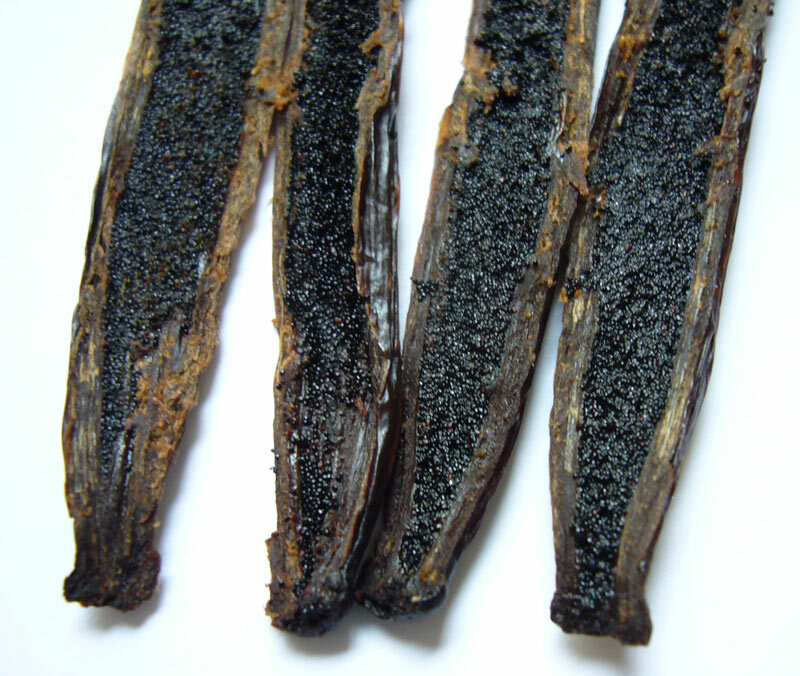 The skin is dark brown in color, flexible and oily. The caviar is slightly oily and has a beautiful texture. 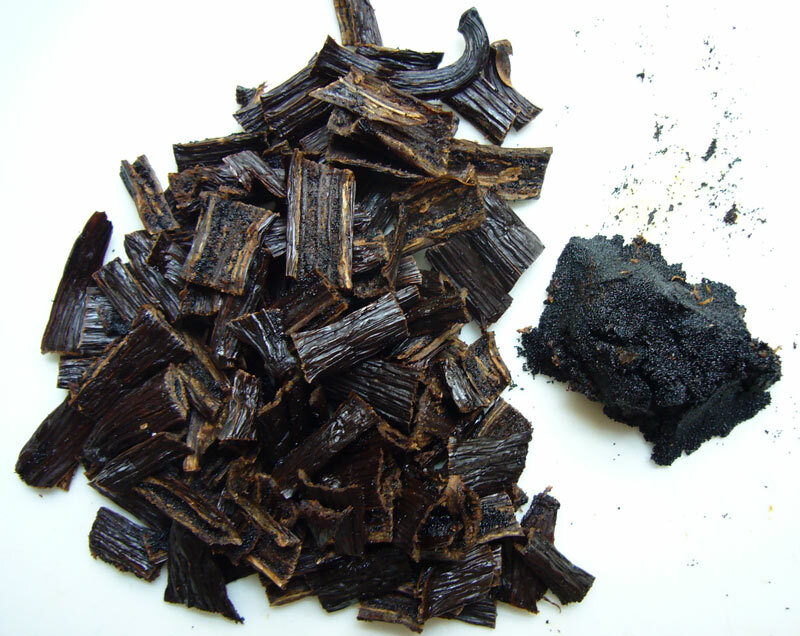 There is an above-average caviar yield, due to the size of these vanilla beans.